It is no secret that I love magic history. I've noticed a lot of folks who enjoy magic history are not performers or are former performers. My friend Denny Haney once told me that you could tell a performer who read magic history books from those who did not simply by the way they perform. In my case it's more than that. I take quite a bit of inspiration from many parts of magic history and I'd like to share one of them with you today. One of my all time favorite magicians is Charles Mattmueller, better known as Karl Germain. I've never written about him before on this blog, but I think it's time to start including him. One of the things that fascinates me about Germain are his posters. 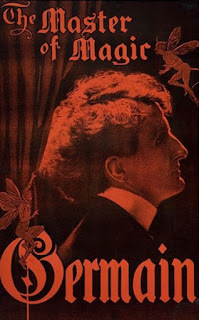 He often used a black/red color scheme in his posters. Though it's very striking visually, I would image part of the reason was because it was cheaper to do than full color. 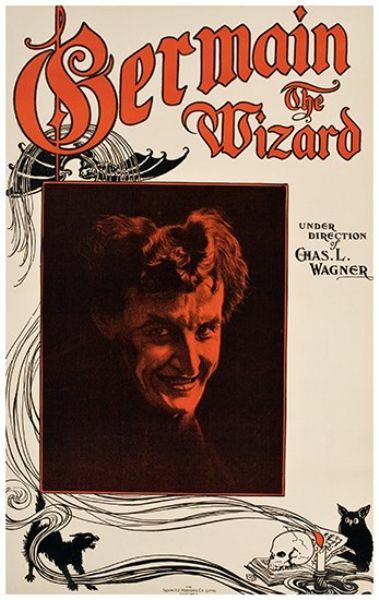 The poster at the top of the page lists him as 'The Master of Magic' but most often he was known simply as 'Germain the Wizard'. 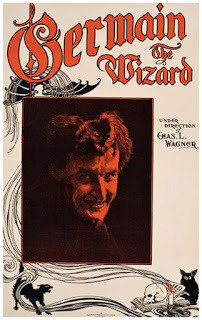 In this day of magician, illusionist, mentalist, mind reader and so forth, I kind of love the simplicity of WIZARD. There are only two wizards people know of today and they would be Harry Potter and Merlin, so it's not bad company to be in. 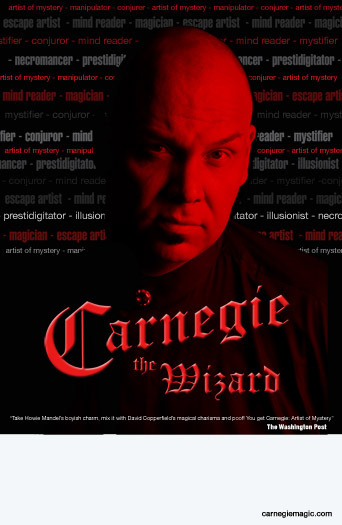 A few years back I needed a new poster and I decided to look through the many posters that other magicians had done in the past. This is not a new thing. Countless magicians have copied the Kellar/Imps poster. Escape artists and magicians who do escapes love to copy what Houdini has done. IF they don't copy his posters they very often copy the poses he struck in photographs. I thought, the color scheme of the Germain posters was still appealing and so was the simplicity of the images. But I wanted something to make them more contemporary as well. 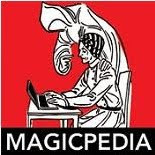 My solution was to add the various names used by magicians, words like illusionist, conjurer, manipulator and so forth. I put all the names I could think of and used them in the background of the poster. Then I decided to use the same font that Germain used in his name for my name, and just for fun I used the word 'WIZARD' rather than my usual moniker 'Artist of Mystery'. One other thing I did was add a quote about me by a well known source, The Washington Post. The end result, I think, is a very cool looking poster that gets it's inspiration from the past and yet looks quite modern at the same time. I hope you like it. 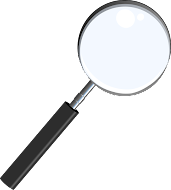 NEXT: Coming next will be an article about Two South American Magic Families.